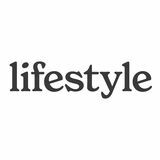 Lifestyle Magazine has been the premier publication in the Central Valley of California since 2003. When it comes to design integrity, Lifestyle Magazine is the consummate example. The target audience of upper-income home-owners demands a consistent quality of design, content, and advertising and Lifestyle always delivers.